PHD, OMD and Hearts & Science joined forces to host FutureMecca, the second event this year for MediaMecca, which has grown into one of the most important meeting places for advertisers, media companies and agencies in Norway. The seminar put UK-based marketing expert Peter Field on the stage with local and international speakers to discuss topics under the the theme of ‘The Future of…’. More than 250 selected guests met for half a day of professional inspiration and subsequent mingling with industry colleagues. “The goal was to create a day of thought-leadership that participants will remember for a long time; to inspire, but also challenge existing mindsets in an engaging way,” said Marie-Louise Alvaer, Managing Director of PHD Norway and organiser of this year’s FutureMecca together with OMD and Hearts & Science. The theme ‘The Future of…’ covered areas such as the Future of Technology, the Future of Creativity and the Future of Brands. Everything is constantly changing and the future is happening right now, which obviously has a major impact on the content of our job as marketers. Peter Field was the keynote speaker and shared his thoughts around why branding is more important than ever. Sneha Nagesh, Global Business Director at PHD, also joined the seminar to discuss voice tech, and Peter Loell from Hearts & Science in Denmark talked about the development of marketing platforms. 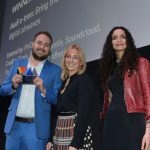 Several of the country’s best-performing advertisers spoke on stage, including Marketing Director of Coops Norge, Aud Lundstad and Business Developer (Sustainable Living) of Orklas, Anne Støren. Also in attendance were founders and representatives of the new eCommerce-based economy, such as Martin Schütt of Askeladden, Sigrun Syverud of Fjong and Kristine Moody of Team Magnus. The audience review of the event saw fantastic feedback. Eight out of 10 rated it with a top score, making FutureMecca the second best event ever in the history of MediaMecca and their 26 events across Sweden and Norway.